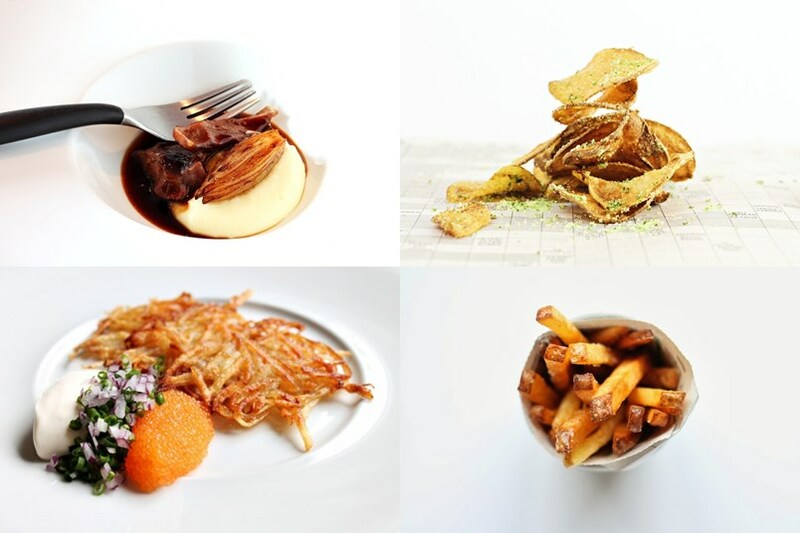 Time for another recipe roundup, this time I use the humble potato. So here’s 10 great potato recipes you have to try. Potatoes is the humble workhorse of the kitchen. Easy to use when it’s time to stack up on those carbs. But besides boiling and mashing there are so many great ways to use potatoes. I rounded up 10 great potato recipes you have to try. In the list you’ll find fried, smoked, soup, mashed, filled and then some. Here you’ll find a photo and a short description of each recipe. Use the link for each one to get to a detailed version. And do enjoy those potatoes! 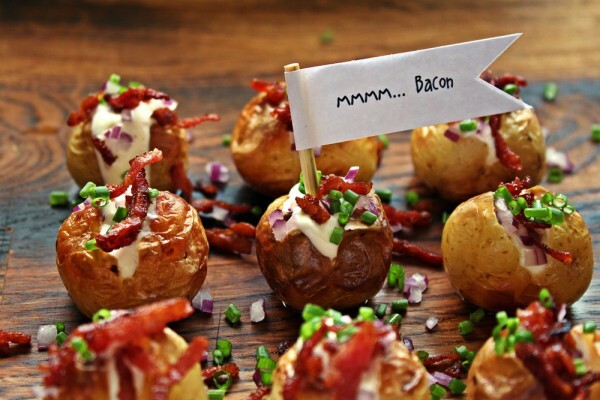 Mini baked potatoes, packed with sour cream, chives and bacon. This is just like a big baked potato with a great filling but it’s miniature potatoes instead. It works like magic and there are great benefits. 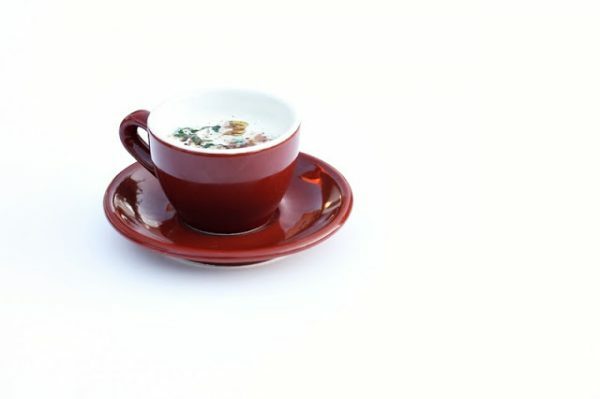 It cooks faster, you can vary the number served and you can make different fillings to make your guests even happier. Here the potato is smoked in a grill. It was one of the first times I smoked potatoes and it turned out really great. I serve it with roe, dill and creme fraiche but this can also be served on its own as a great twist on grilled sides. You don’t need to worry about getting any fancy equipment either, I made this in my regular grill in the garden. 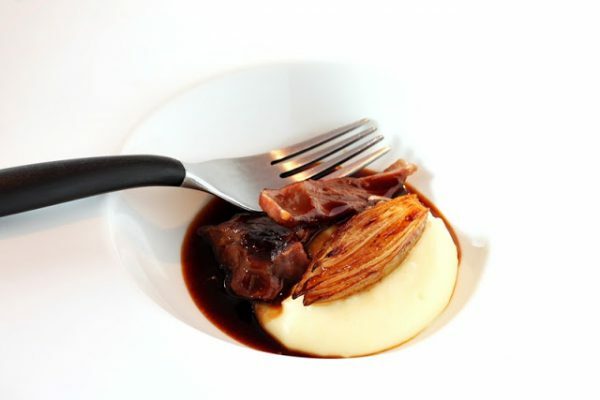 A super smooth potato cream served with a leg of lamb with red wine and poached shallots. The cream is like a very smooth and luxurious mashed potato. Do try it, it works with anything meaty, why not a simple grilled hot dog? 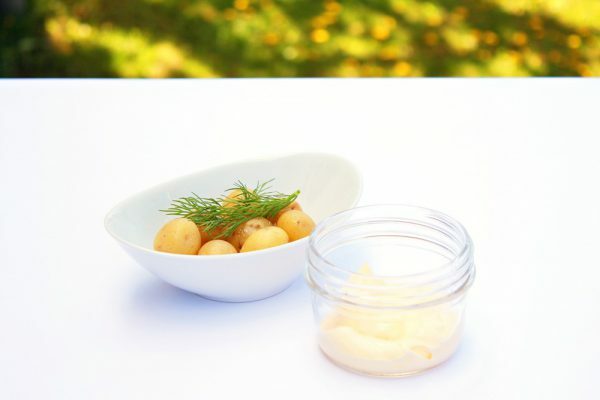 When spring comes and the first potatoes of the season is ready it is a highlight for all Swedes. Im sure you can find great potatoes where you live as well. Dare to do like this. Just serve them with butter and salt, if they are as good as they should be they don’t need anything else. There needs to be an potato salad in a list like this. This one comes with pickles and onions and won’t take more than five minutes. So for those times when time is an issue but you don’t want to compromise on the flavor. You will need some potatoes to start with though. Potatoes are perfect for soup. You don’t need much, it brings great texture, it’s mild so you can flavor it in fun ways and it costs almost nothing. This soup comes with crispy bacon and lemon oil. A simple appetizer that works all year round and that you can put your own twist on in a simple way. One of my favorite recipes in this list. 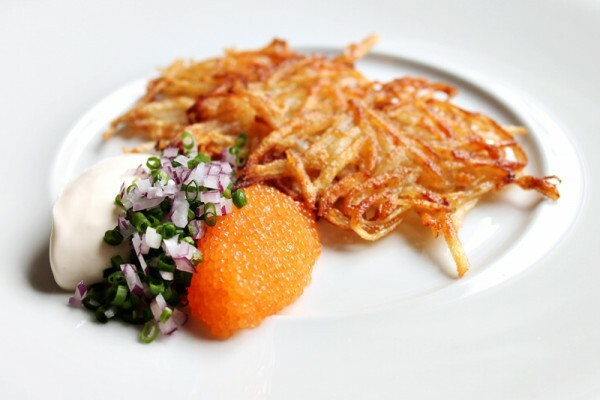 These crunchy Swedish hash browns are absolutely delicious. 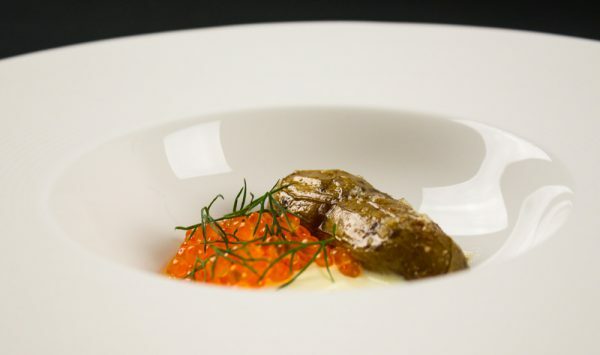 It’s easy to make and with a side of bleak roe, sour cream and onions it is beyond delicious. Do try them. Chips or crisps as they say in the UK are lovely. But have you ever tried making your own? It does require way more work than just opening up a bag but it’s a fun project to try and you can flavor it your own way. 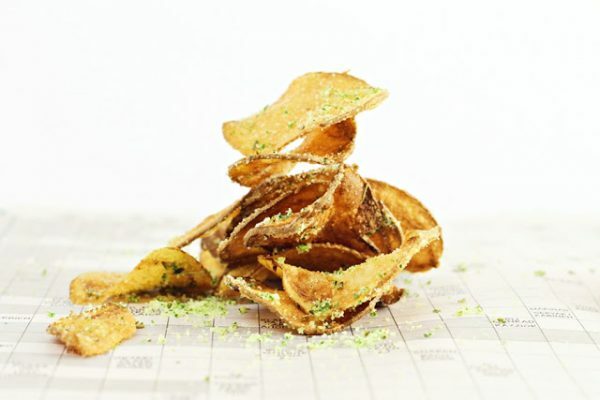 These comes with a herb salt and Sriracha dip to go with the chips. 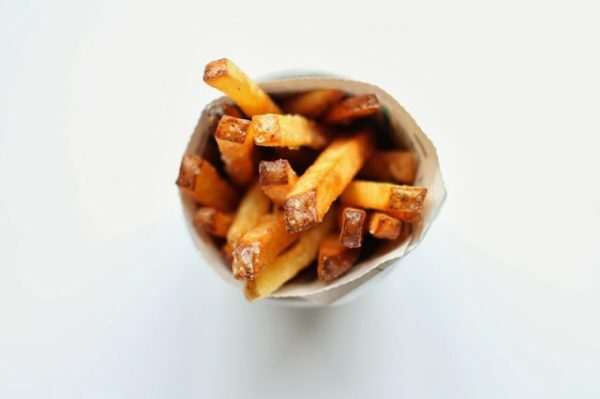 While we are on the frying of potatoes we have to make some real french fries as well. These do come with some work but I promise it’s worth it. 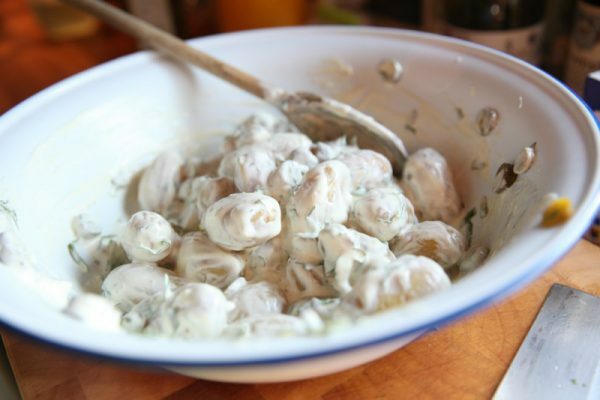 Serve them with anything or just as a snack like in my recipe with truffle mayonnaise. 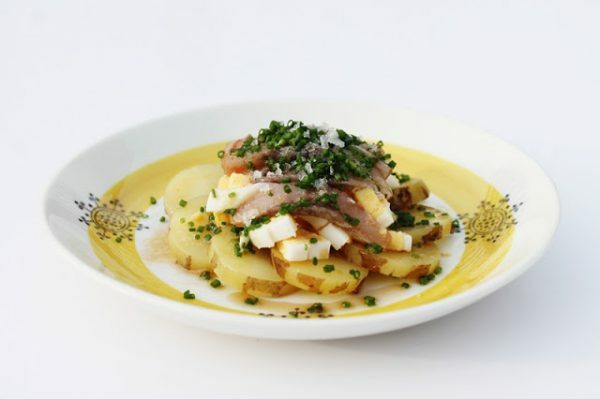 Soused Herring, eggs, cold sliced potatoes and a healthy dose of browned butter. The combination of all these flavors are truly great. Plus you’ll really get to try something Swedish.